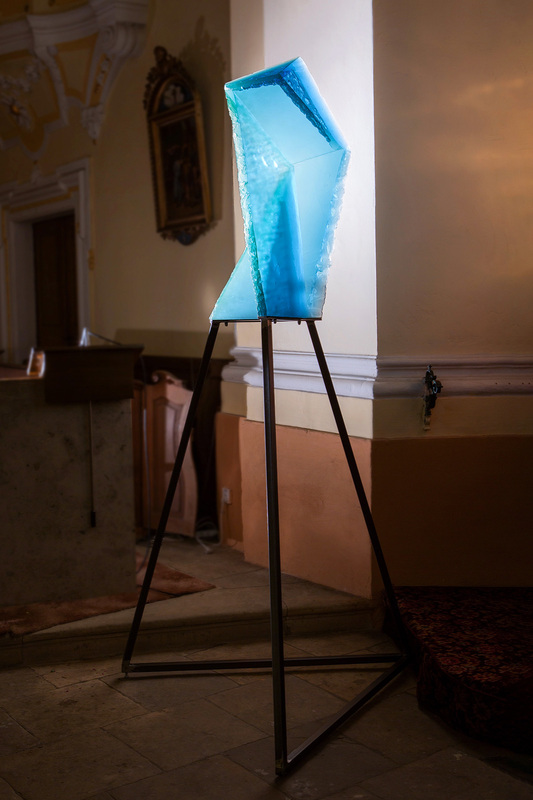 Our current solo exhibition features glass sculptures and paintings by the Czech artist Jiří Suchý. 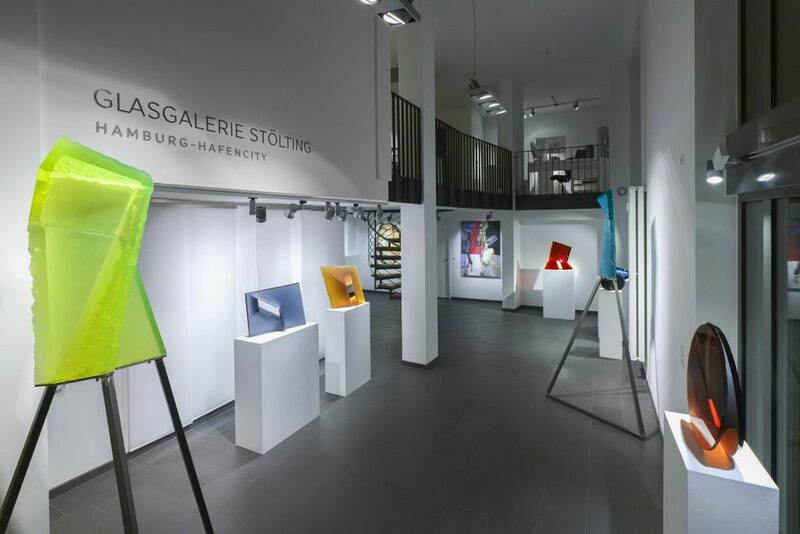 The artist attended the glass school in Nový Bor and then went on to study at the Academy of Art, Architecture and Design in Prague under the internationally renowned Czech architect, furniture designer and glass artist Prof. Bořek Šípek. 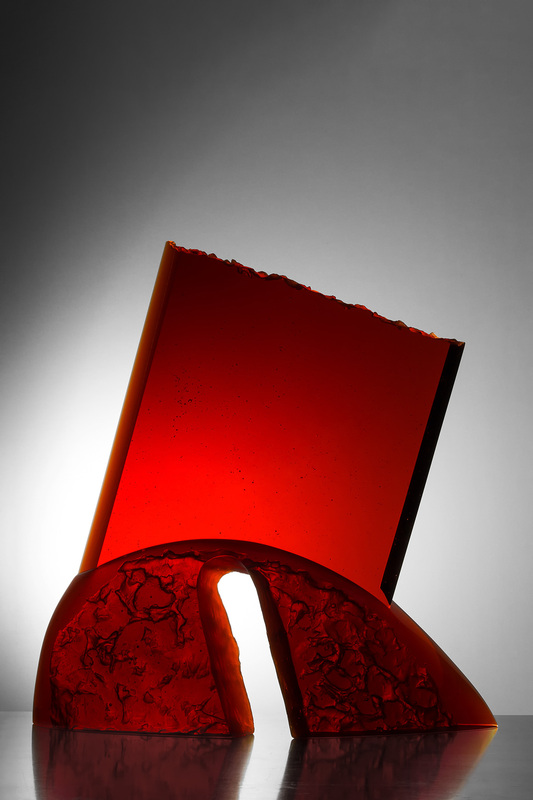 Jiří Suchý’s glass objects, which are melted in moulds in the kiln, follow classical Czech glass sculpture in their design language. In his compositions he works with displacements of geometric objects, layering and blending them. 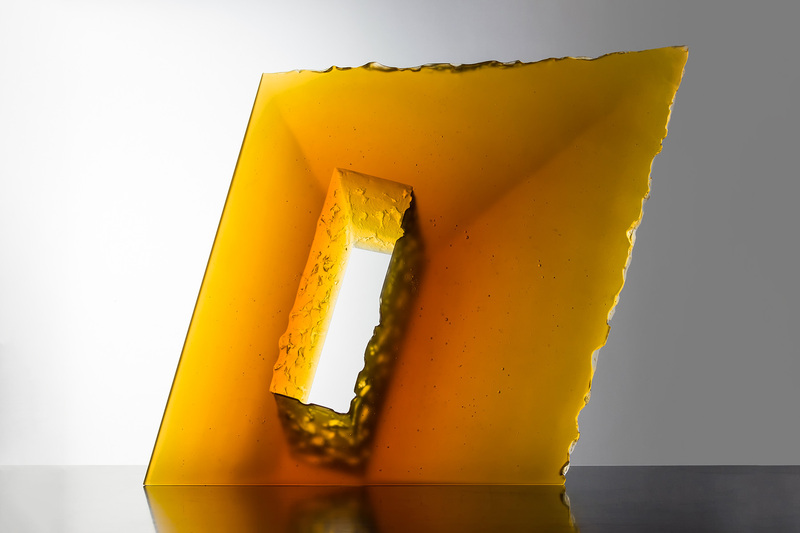 By contrast, his paintings, which he creates using hot glass taken directly from the glass kiln applying his own specially developed technique, are expressive/abstract. Michael Behrens – The German sculptor finds his inspiration in nature, especially the underwater world. 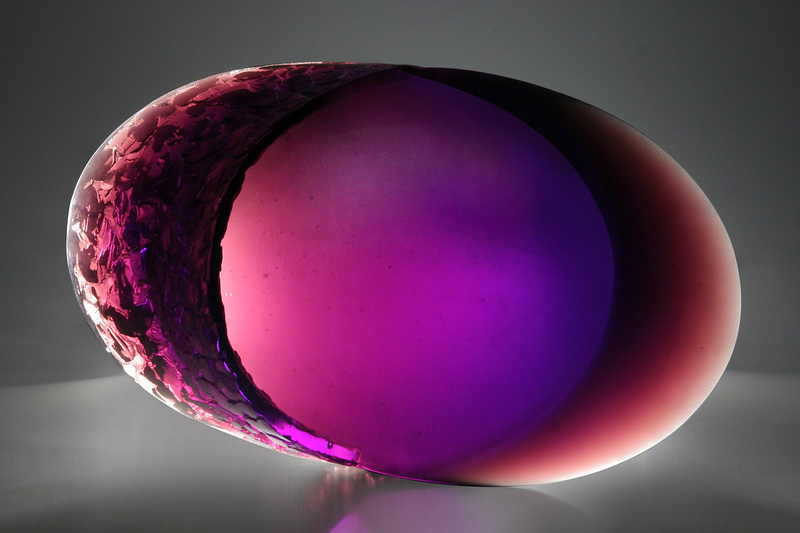 The concentration on a few colours and the cell structures resulting from the fusion of the glass sections used are characteristics of his glass objects. 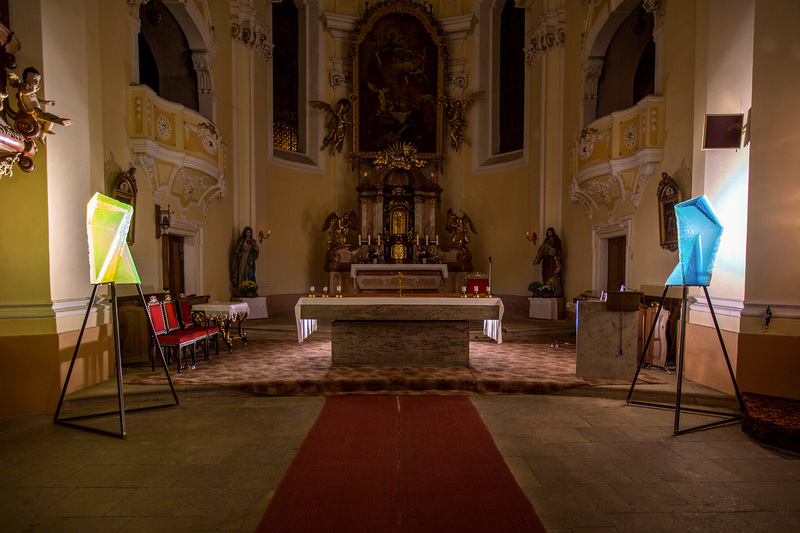 Bohumil Eliáš jun. 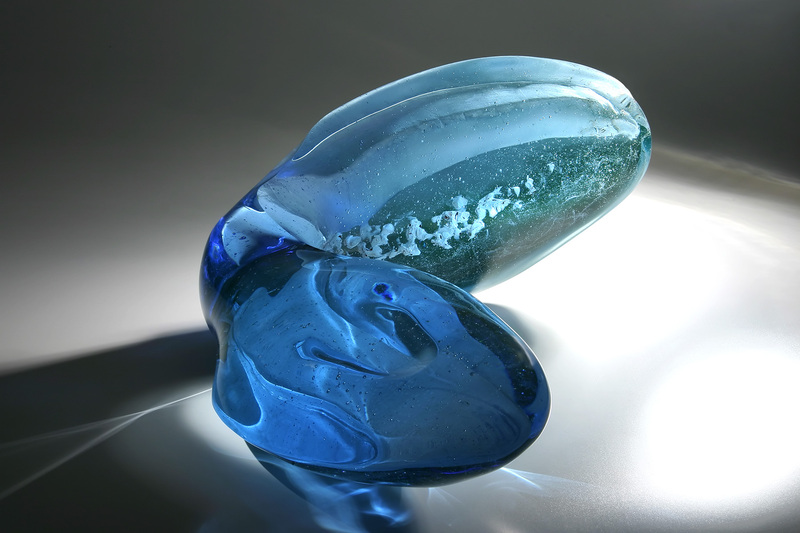 – For the Czech sculptor, glass is a fully legitimate material, which he uses together with other sculptural materials. 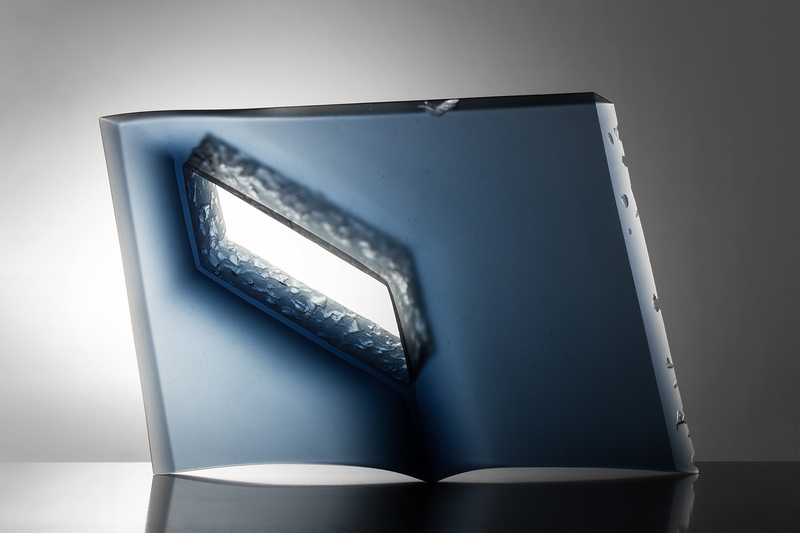 He makes use of the transparency and reflection of the glass for his artistic expression. 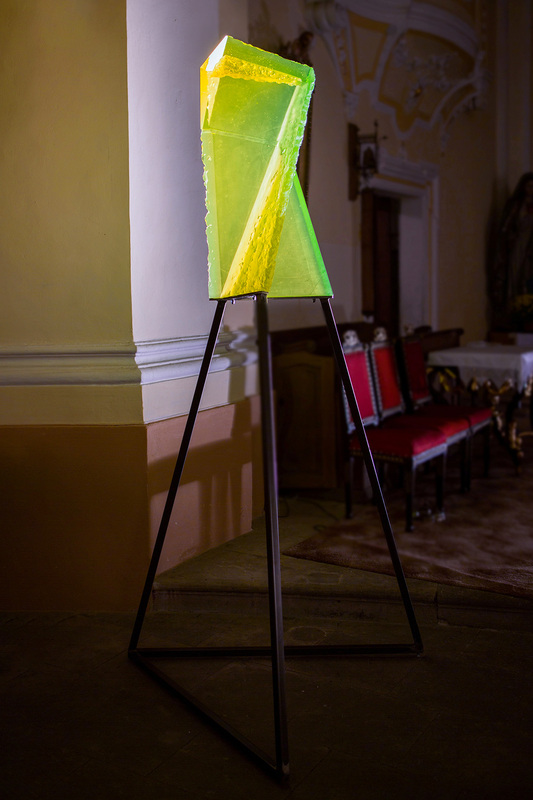 Tomáš Hlavička – With his sculptures made from fused glass and metal, he brings simple shapes to life, creating microcosmic worlds of colour and texture that constantly change depending on the light source and angle. 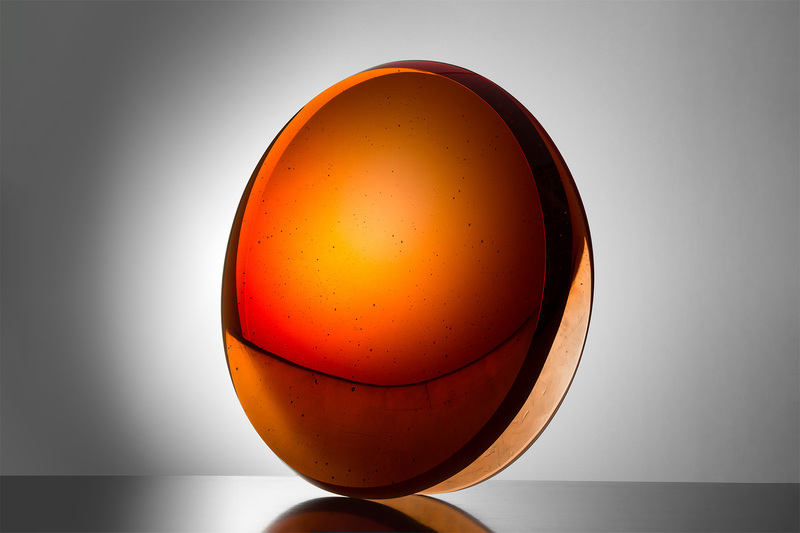 Petra Hřebačková – The daughter of Tomáš Hlavicka and the granddaughter of the internationally renowned glass artist Pavel Hlava, she studied at the Prague Academy of Art, Architecture and Design, Glass and Ceramics. We are displaying abstract glass objects full of colour that are inspired by nature. Our gallery is open from Friday to Sunday between 12:00 a.m and 7:00 p.m. It is also possible to visit the exhibition outside these times at any time subject to prior appointment by calling +49 40 325 308 33. You are welcome to use also our contact form.